BLOOMFIELD, N.J. – The Wilmington University softball team won their third straight doubleheader Saturday afternoon as they swept Bloomfield, 4-1 and 3-2, to win their sixth straight game in a Central Atlantic Collegiate Conference matchup at Shannon D. Forde Field. A three-run fifth inning for the Wildcats (17-8, 5-1 CACC) helped them secure the 4-1 win over the Bears in game one of their doubleheader. Bloomfield would get the first run of the game in the bottom of the first inning with two runners on with no outs on a single to third base to take an early 1-0 lead. It wasn’t until the top of the fifth inning, though, that the Wildcats got on the board thanks to a single to left field from Kiana Broderson-Jones to score Rosa’Lynn Burton (Caesar Rodney) from second. Lauren Lopez would be the next batter and would hit her first triple of the season to right field scoring Broderson-Jones. Makayla McCarthy would then follow up with a single to right field to score Lopez and give the Wildcats a 3-1 lead heading into the bottom half of the fifth. 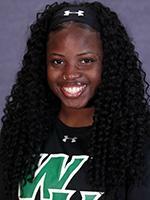 WilmU would get one more in the top of the seventh as Rosa’Lynn Burton started the inning off with a double to left field for Lopez to hit a sacrifice fly out to center field two batters later to score Burton for the insurance run heading into the Bears’ final at bats. Caitlyn Whiteside would throw a complete game, going 7.0 IP, allowing five hits, one walk, and five strikeouts. Rosa’Lynn Burton went 2-for-4 with two runs, as Lauren Lopez went 1-for-3 with two RBI. Makayla McCarthy had one RBI for the Wildcats. With a tied game heading into the top of the seventh inning, Lauren Lopez hit her 10th double of the season to give the Wildcats the go-ahead run, before taking the contest from Bloomfield, 3-2. The Bears would score the first run of the game again in the bottom of the first inning on a bases loaded wild pitch to take the early 1-0 lead. Alyssa Velasquez would start the top of the second inning off with a single up the middle, before she could get in scoring position on a wild pitch. Velasquez would then steal third and score on an error by the second baseman to tie the game up at 1-1. WilmU would threaten in the top of the fifth inning on a single to right field from Rosa’Lynn Burton, but Courtney Dellinger (Hodgson) was thrown out at home on the play. The Bears would get two runners on in the bottom half of the inning and hit a single up the middle to take the lead back from the Wildcats, making it a 2-1 game. Caitlyn Whiteside would get the next two batters and end the inning stranding three runners left on base. Kiana Broderson-Jones started the top of the sixth inning off for the Wildcats with a single to second base, before Lopez could slip one through the left side and advance both her and Broderson-Jones on a Bears’ error. With no outs, Angela Antonini would reach first on another error from the Bears to score Borderon-Jones and tie the game at two apiece. WilmU would leave the bases loaded as Bloomfield made three straight outs to end the inning. In their final at bats, Alexis Sann would walk to start the inning, but Bloomfield would strikeout the next two batters to bring the Wildcats down to their final out. Lauren Lopez would step up to the plate and hit a double to right field, scoring Sann and give the Wildcats the go-ahead run, making it a 3-2 game heading into the bottom of the seventh inning. The Bears would threaten in the bottom half of the inning with a runner on third with two outs, but Caitlyn Whiteside was able to get the final batter to pop up to her and end the ballgame. Whiteside would get the win and improve her record to 11-6 on the season. She would go 2.2 innings, allowing four hits and one walk. Makayla McCarthy would go 4.1 IP, allowing three hits, two earned runs, one walk, and three strikeouts. Kiana Broderson-Jones and Lauren Lopez would both go 2-for-4, as Broderson-Jones had one run and Lopez had one RBI. 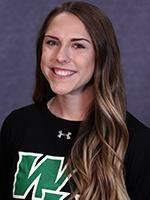 Angela Antonini had one RBI, as Alyssa Velasquez, Courtney Dellinger, and Rosa’Lynn Burton each had a hit for the WilmU. The Wildcats are right back on the road as they head to Adelphi for a doubleheader tomorrow afternoon. Game one against the Panthers is set for 1:30 p.m.